UTV has been given the Irish equivalent of commercial Public Service Broadcaster status in the Republic of Ireland, one month before its new service for South of the Border goes live. Ireland's Minister for Communications, Alex White, T.D., signed an order designating the new UTV Ireland television service for carriage on Irish Digital Terrestrial TV service Saorview following a determination that UTV Ireland will be "a television service having the character of a public service", under section 130 of Ireland's Broadcasting Act 2009. John McCann, the Group Chief Executive of UTV Media plc welcomed the announcement. He said: "this designation was important for the purposes of ensuring appropriate prominence for UTV Ireland on the various platforms, allowing us to offer Irish viewers an increased choice of high quality content." UTV Ireland's schedule will be filled with shows available in the UK on the ITV/STV/UTV network, thanks to a deal UTV made with ITV Studios. These include daytime TV staple Lorraine and popular soaps Emmerdale and Coronation Street, which move from rival Irish broadcaster TV3. 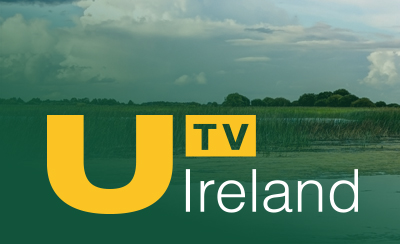 Unlike UTV Northern Ireland, which as Channel 3 licence holder is affiliated with ITV, and along with STV have arrangements facilitating free-to-air satellite transmission, UTV Ireland can only show ITV programmes in the Republic of Ireland, which is why the satellite/Sky version of the service will be encrypted. Alongside ITV programmes, UTV Ireland will feature homegrown shows and will offer the comprehensive Irish news service provided on commercial TV in the Irish Republic. Update: UTV's Michael Wilson has confirmed in a blog post that viewers will see a 'barker' service promoting the launch of UTV Ireland prior to its official launch on 1st January. In the Republic of Ireland, UTV Ireland is carried on every digital TV platform that TV3 is carried on. On Saorview, it's carried on the same frequencies as RTÉ One, for example.